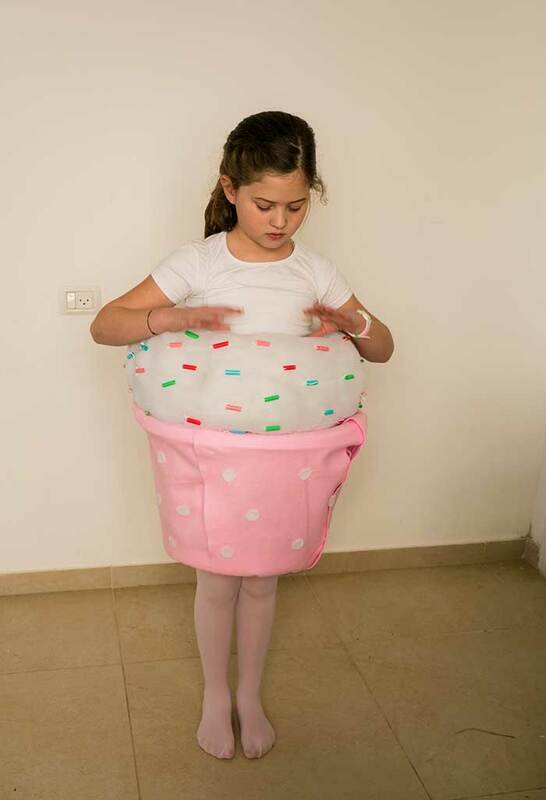 After having posted the link to my Purim costumes from the last two years last week, it is now time for this year’s costumes! In two parts as usual because there are two kids in this house. 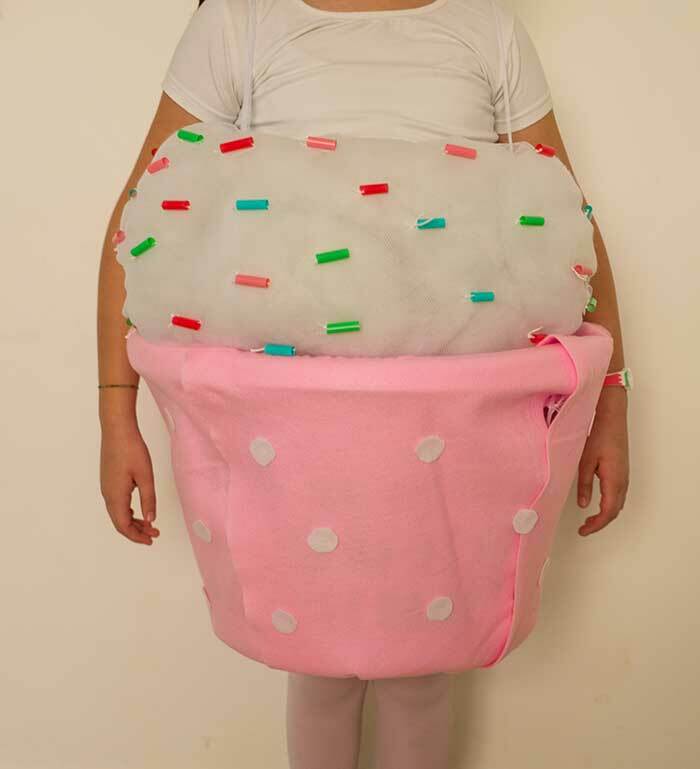 First up is the girly one, chosen by the girl herself: A Cupcake! 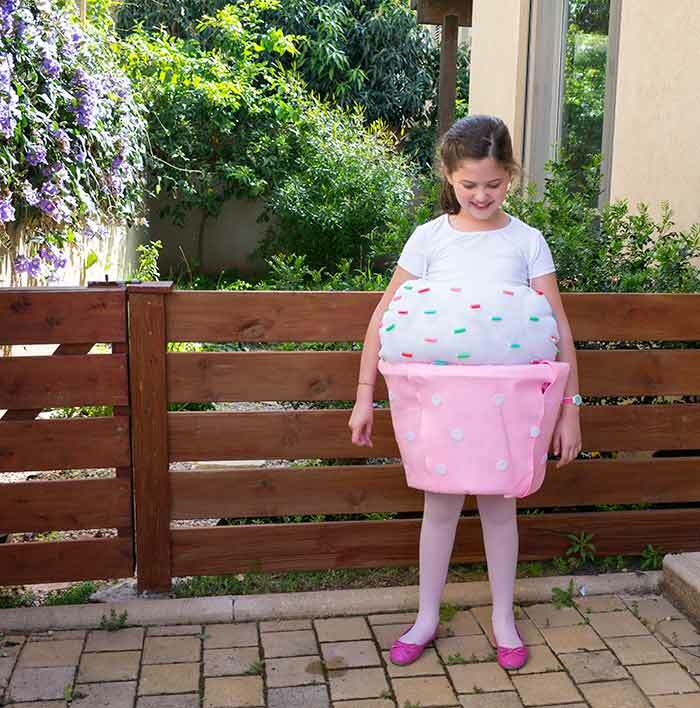 My main source for research is Pinterest as always 🙂 I found this great Cupcake Costume tutorial by “Tea Cups and Cake” and used it as inspiration with a few alterations. First I cut the bottom out of the laundry basket with the hobby knife. It was a lot harder than I thought, but I succeeded! 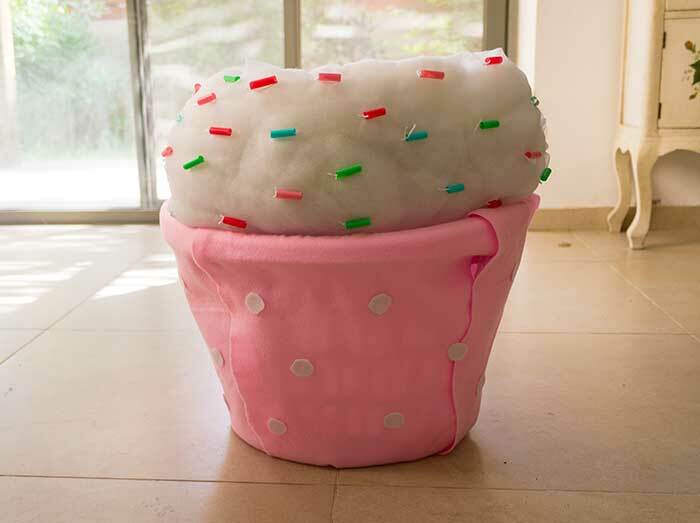 Next I glued the pink felt onto the basket with the glue. 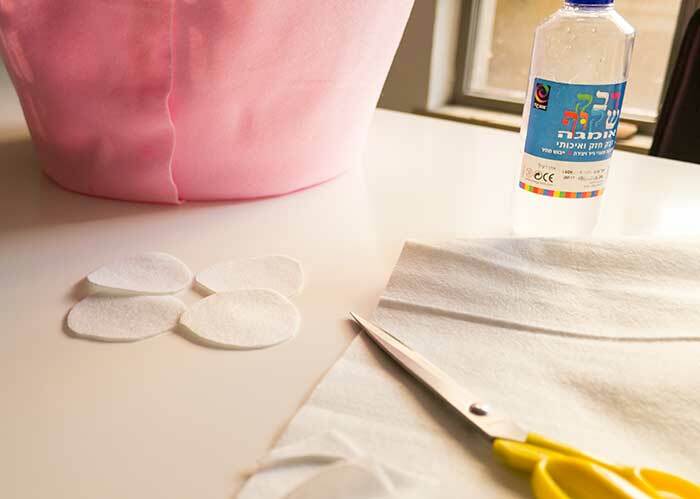 From the white felt, I cut out small circles and glued them on to the basket as well. I cut out a piece of tulle (115 cm X 60 cm) and sewed up the long side to form kind of a long cylinder that I filled up with the polyester filling. After cutting the straws into smaller pieces I sewed them onto the tulle using some white yarn. Finally, I gathered the two ends of the cylinder, sewed them together to form a ring. She is wearing the cup with the Frosting ring on top. 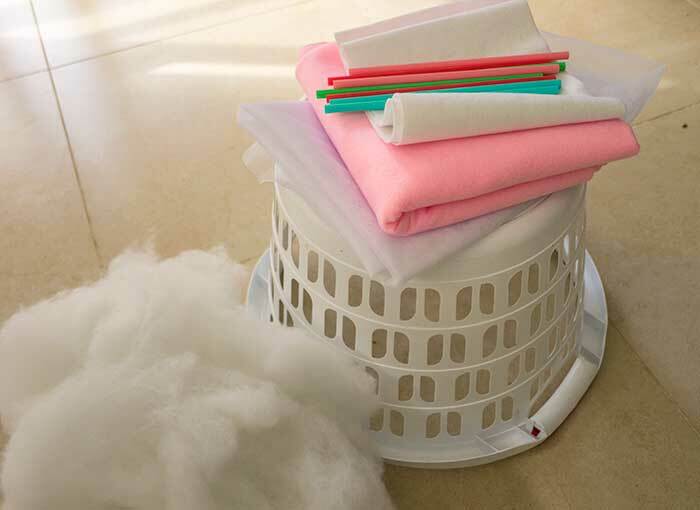 To keep the costume up without that she has to hold it, I attached two strips of the white tulle to the inside of the laundry basket, like suspenders. Do you have any ideas for something to put on her head/ in her hair?